Congresswoman Maxine Waters (D-CA-43), chairwoman of the House Financial Services Committee who introduced the resolution, gave a statement encouraging financial institutions to do what they can to support consumers affected by the shutdown. While Waters acknowledged that many financial institutions have already pledged to accommodate affected consumers, she emphasized the importance of efforts from all institutions and customer reporting agencies in the coming weeks and months. 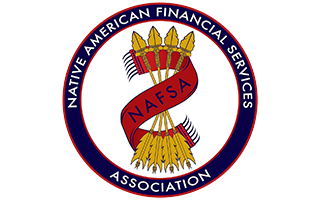 In addition to the Congressional resolution, Senator Tom Udall (D-NM) introduced the Indian Programs Advance Appropriations Act, or S.229, which aims to soften the worst of government shutdowns on tribal governments. If passed, the bill would secure funding in advance for critical programs at Bureau of Indian Affairs (BIA) and the Indian Health Service (IHS), ensuring the programs stay open during future government shutdowns. Senator Udall, who is also the vice chairman of the Senate Indian Affairs Committee, said in a statement that many other vital federal programs have advance appropriations already in place, but the BIA and IHS do not have the same guaranteed accommodations. “Because of the unique government-to-government relationship between tribes and the U.S., Native communities in New Mexico and across the country are among those hit the hardest when the appropriations process is hijacked for political leverage, as is the case in this shutdown,” Udall said.